* When 시 si for ‘sh (ш), shch (щ)’ is combined with a following vowel, write them as one syllable. Write the plosive and fricative ‘f (ф), v (в)’ as codas to the preceding syllable before a voiceless consonant, and with 으 eu attached before a voiced consonant. Write ‘z (з)’ and ‘zh (ж)’ as 즈 jeu before a voiced consonant and as 스 seu and 시 si respectively before a voiceless consonant. Following convention, transcribe ‘-grad (град)’ and ‘-gorod (город)’ in place names as -그라드 -geuradeu and -고로드 -gorodeu.  Write ‘-ds (дс)-‘ before a consonant as 츠 cheu. Write ‘l (л)’ as syllable coda ㄹ l word-finally or before a consonant, and if a word-medial ‘l’ comes before a vowel, then write it as ㄹㄹ ll. If ‘l’ (ль), m (м)’ come before a consonant word-initially, write as 리 ri, 므 meu respectively. Write doubled consonants as if they were not doubled. However, write ‘mm (мм), nn (нн)’ as ㅁㅁ mm, ㄴㄴ nn before a vowel. Write ‘e (е, э)’ as 에 e after a consonant, and write as 예 ye otherwise. Write the soft sign ”(ь)’ as 이 i. However, do not write it when ‘l’, m’, n’ (ль, мь, нь)’ come before a consonant or word-finally. Write ‘dz (дз), dzh (дж)’ the same way as ‘z, zh’ respectively. This is an unofficial translation. See the original in Korean on the Gyeoremal-keunsajeon website. These rules, which appear as Chapter X of the Transcription Principles of Loanword Transcription Examples, are not part of the official Loanword Transcription Rules, and have been superseded by the rules above introduced in 2005. They are provided here for reference. The original only refers to the romanized spellings, so the original Russian spellings have been supplied in lighter letters. Write ‘ii’ as a single 이 i. Write ‘y’ as 이 i before a consonant or word-finally. Write ‘y + vowel’ combined as 야 ya, 예 ye, etc., and if it is preceded by a consonant, write with the consonant combined as well. Write ‘kh’ as ㅎ h before a vowel and as 흐 heu before a consonant or word-finally. Write ‘ch’ as ㅊ ch before a vowel and as 치 chi before a consonant or word-finally. Write ‘b, d, g, v, z, zh’ the same way as ‘p, t, k, f, s, sh’ before a voiceless consonant or word-finally. However, write ‘-grad’ in place names as 그라드 geuradeu according to conventional usage. Write consonants with the apostrophe ‘ (the soft sign) with 이 i attached before a consonant or ‘ya, yo, yu’, or word-finally.